How To Fix The Broken Steelers? 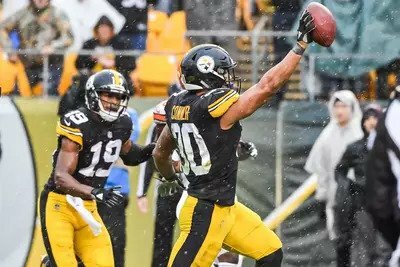 Perhaps They're Already "Fixed"
This entry was posted in Steelers 2019 off season and tagged Antonio Brown, Art Rooney II, James Conner, James Washington, Javon Hargrave, Jerome Bettis, JuJu Smith-Schuster, Kevin Colbert, Le'Veon Bell, Mike Tomlin, Sean Davis, T.J. Watt, Terrell Edmunds. Bookmark the permalink.